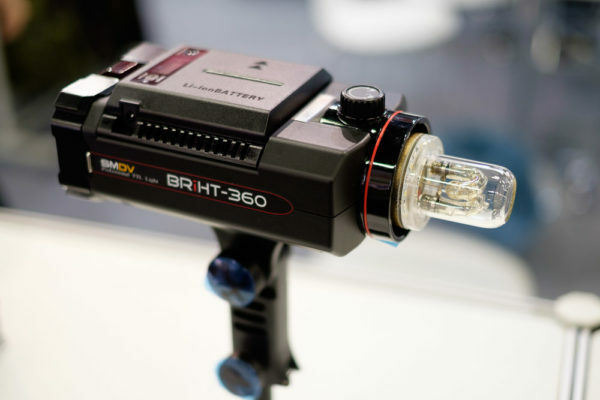 The list continues where it left off in the previous article. 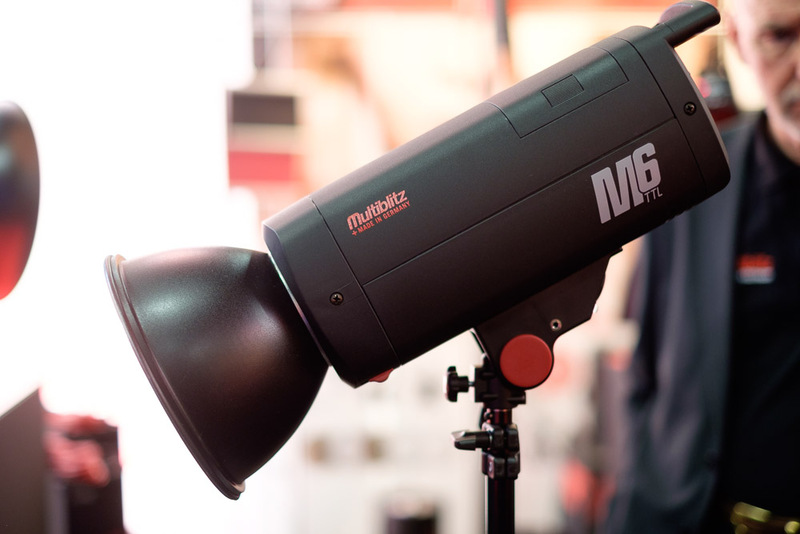 Multiblitz had a few new products on display including the V6-D LED light, V-Pac battery pack and the Parabox, but what was the most interesting was their new TTL strobe. 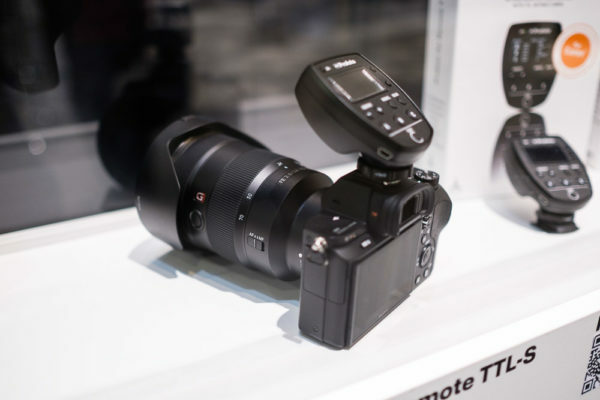 The M6-TTL is initially available for Nikon and Canon, but later on support for other brands will be added. For more information check this article on the M6-TTL and this article on the V6-D.
At the stand of Olympus the new weather sealed FL-900R flash could be seen. 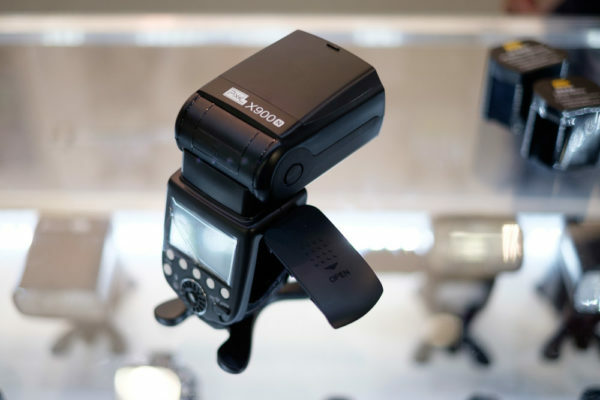 This new flagship flash of Olympus with a maximum guide number of 58 also features a LED light. 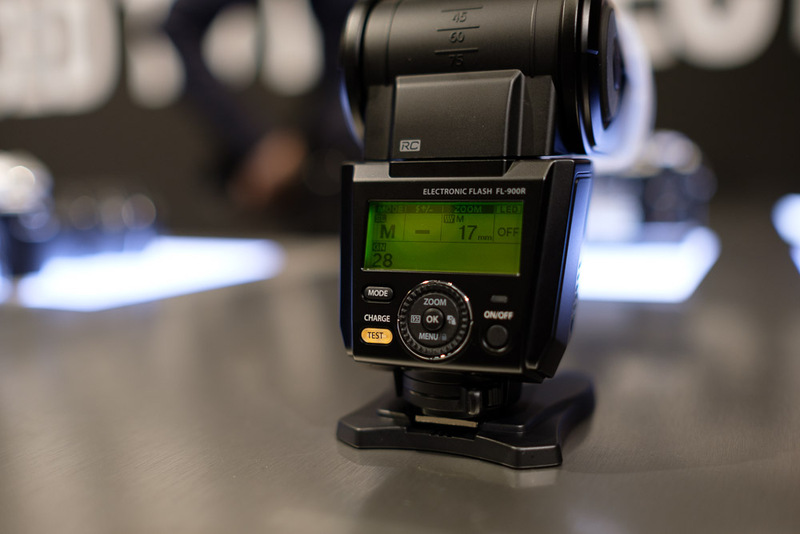 Like the older flashes from Olympus this one also features a wireless master and slave mode, but unfortunately, for this it relies on optical signals. 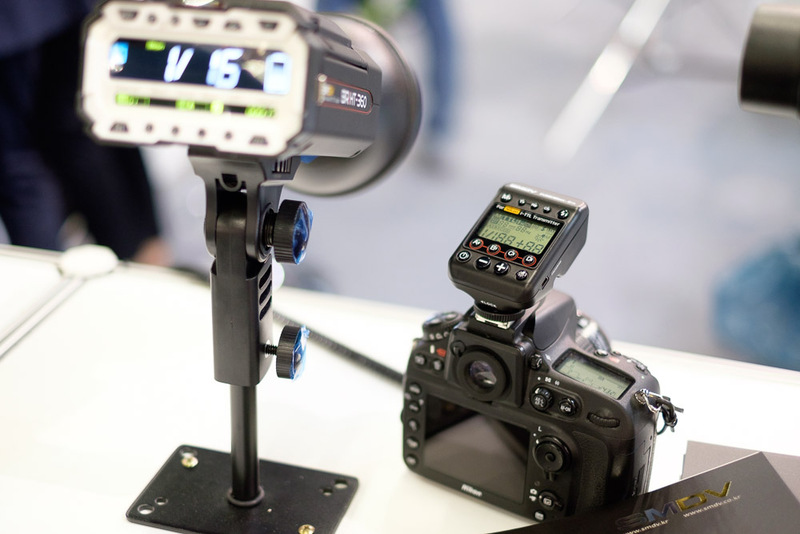 More information can be read in the news article. 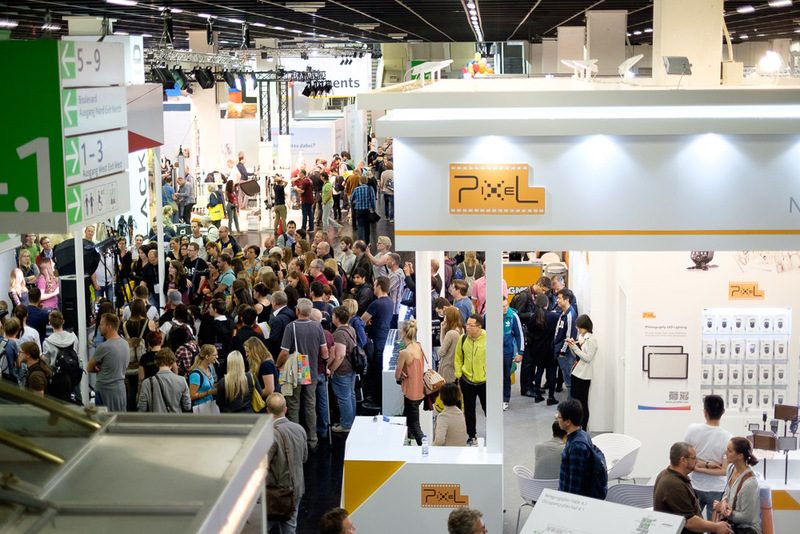 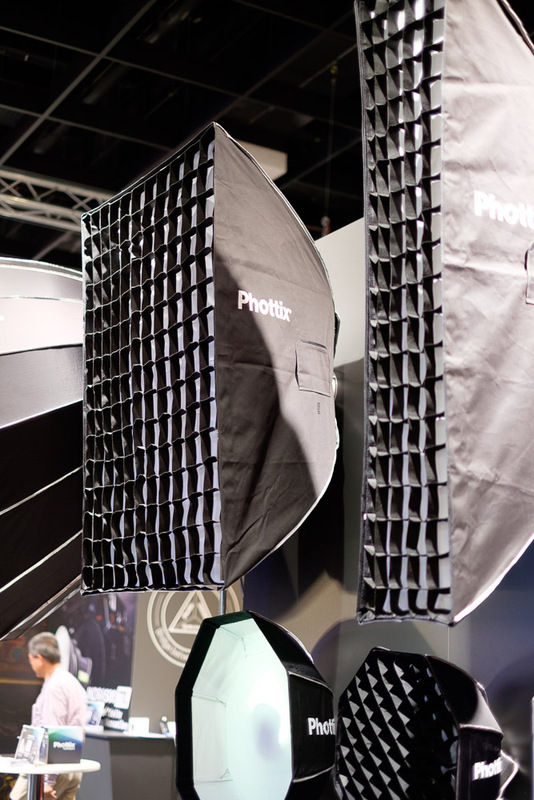 Compared to two years ago Phottix only had some minor announcements. 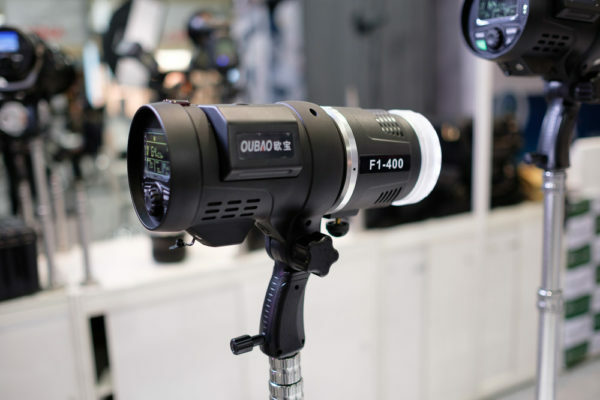 One of these was the Indra500LC, which is a Canon-RT compatible studio light. Besides this new variant of the Indra500, the company also announced new Phottix Solas series of softboxes and the Tritton II Flash trigger. 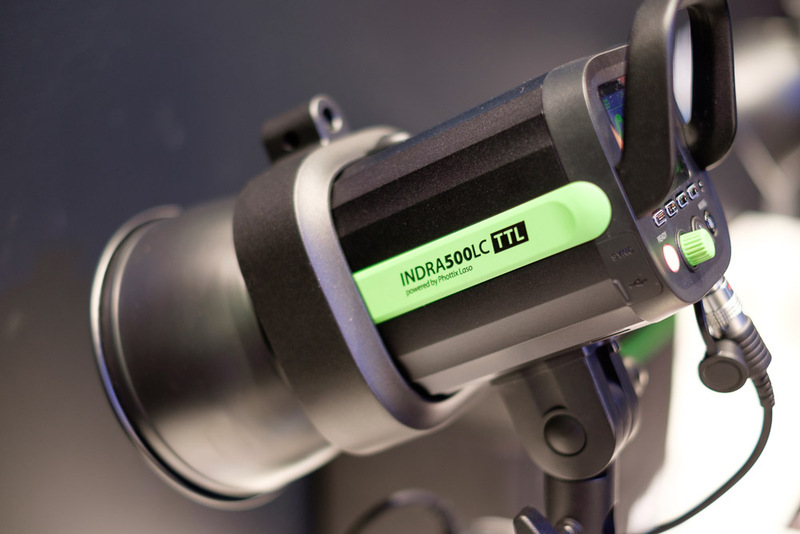 More information about the Indra500LC can be found here. 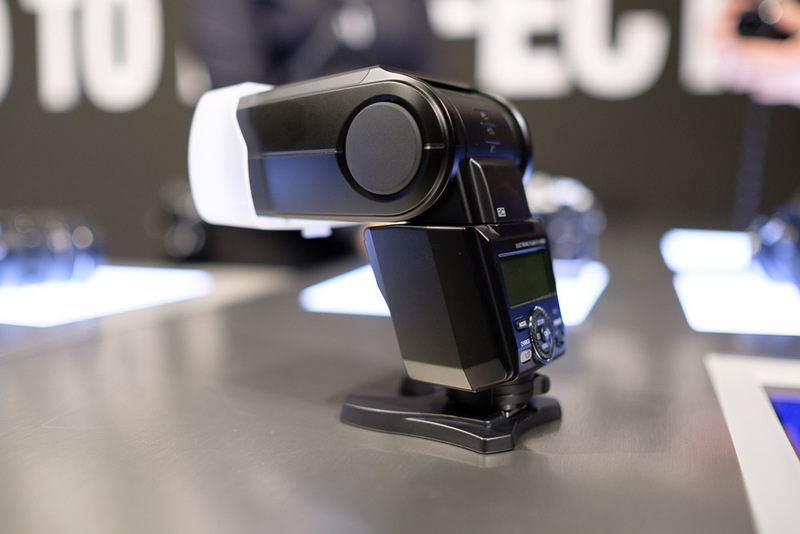 At Pixel there was a nice surprise in the form of a lithium powered speedlite. 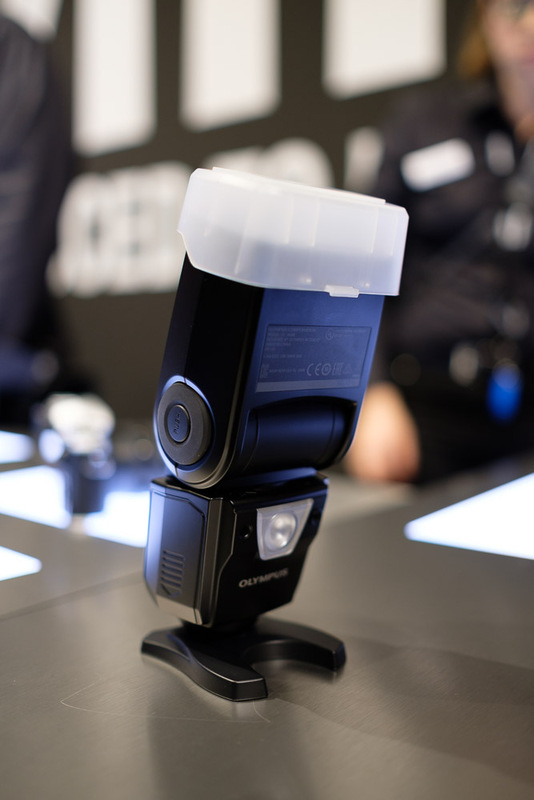 Albeit this is not very unique, the X900C has the special ability that it can be both powered by a lithium-ion battery or by 6 AA batteries. 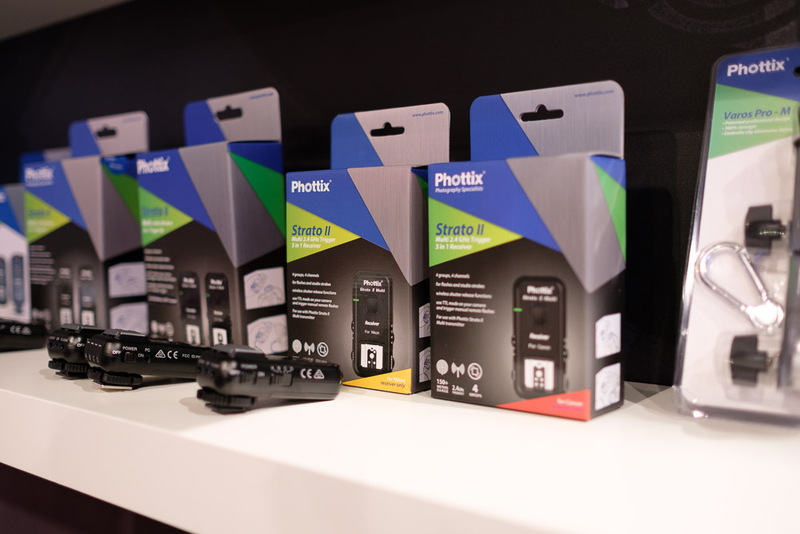 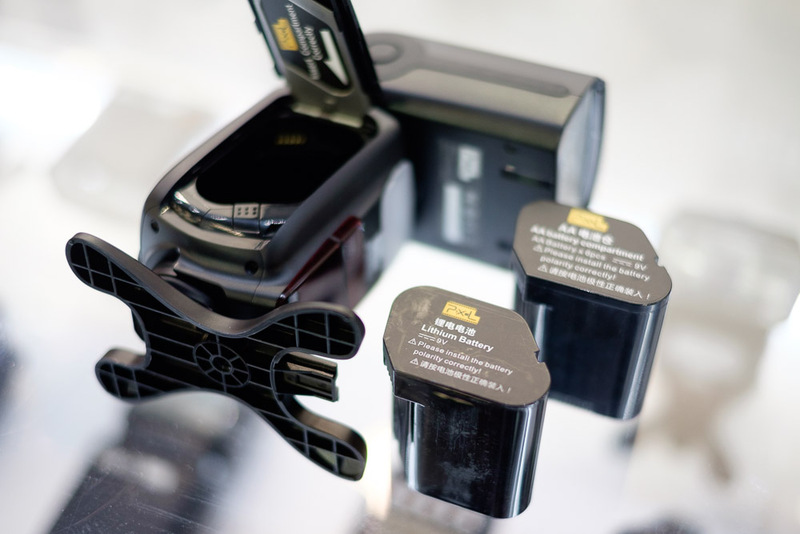 The 6 batteries do increase the weight of the speedlite, but also increase the performance of the flash. PocketWizard has announced the FlexTT5, which has been presented directly at the Panasonic stand. 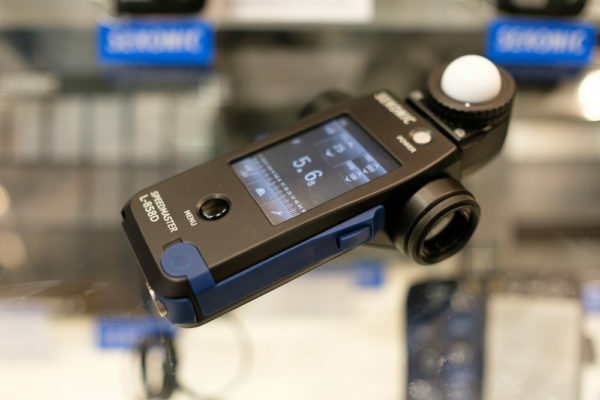 Reason for this is that PocketWizard and Panasonic have cooperated in order to create a Panasonic version of the FlexTT5. 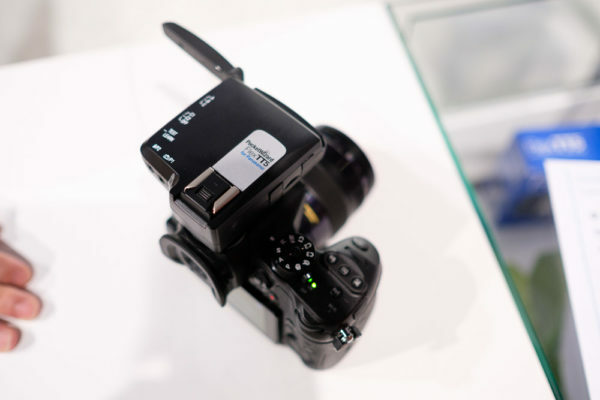 Initially only the GH4 is supported, but later on other models will follow with a firmware update. 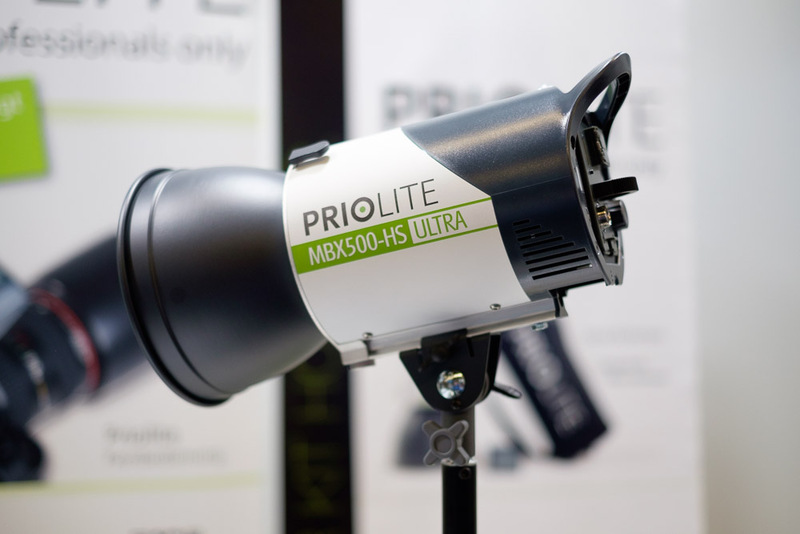 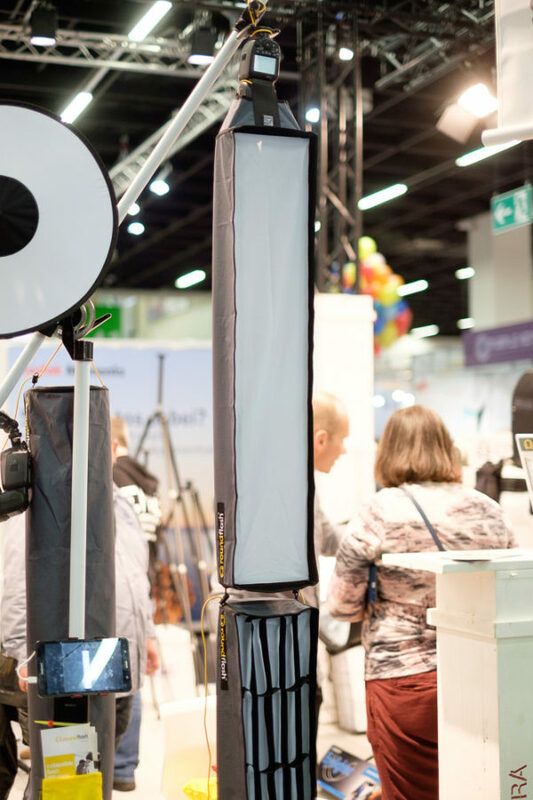 Recently Priolite sucessfully funded their Kickstarter project for the MBX500-HS Ultra, a compact 500 Ws HSS strobe and they also showed their prototype of the strobe at the fair. 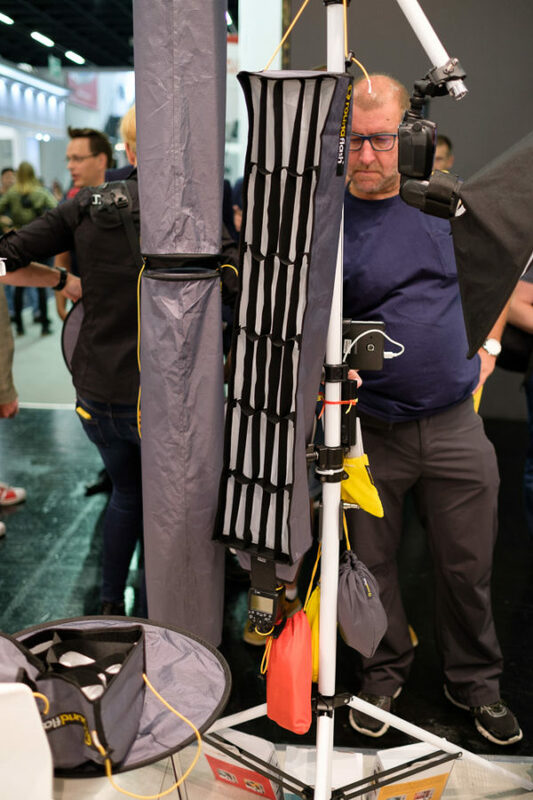 Three new announcements were done by Profoto, two mains powered studio flashes and a new trigger which allows TTL/HSS with Sony cameras. 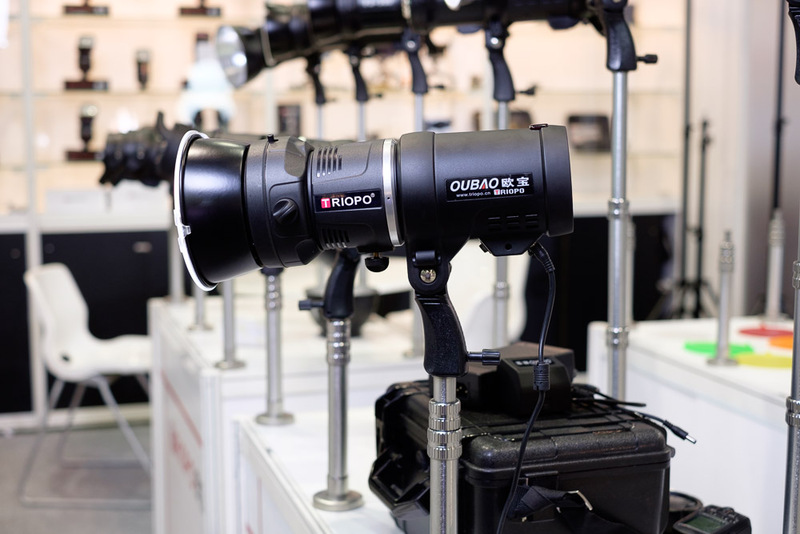 The two new mains studio flashes are the Profoto D2, a high speed TTL monobloc and the Pro-10, a 2400 Ws head and pack strobe with TTL. 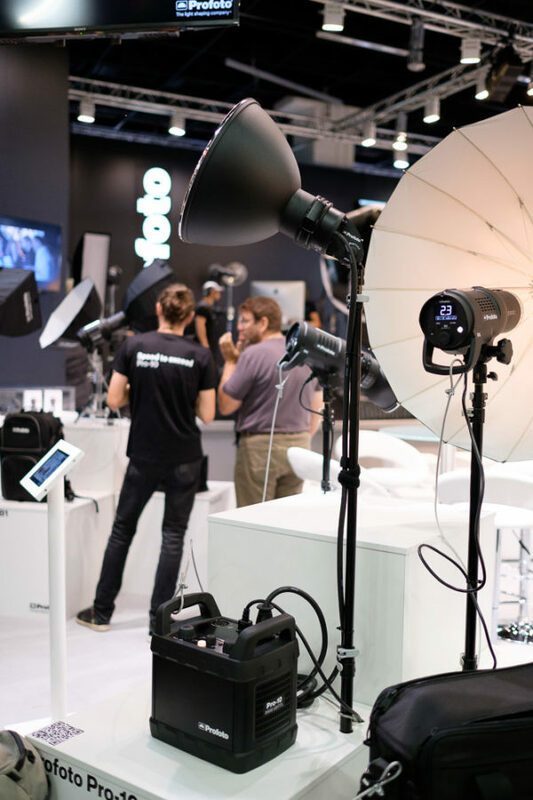 Besides the new announcements, Profoto had a large stand where various demonstrations took place to show how professional photographers use Profoto equipment for their photos. 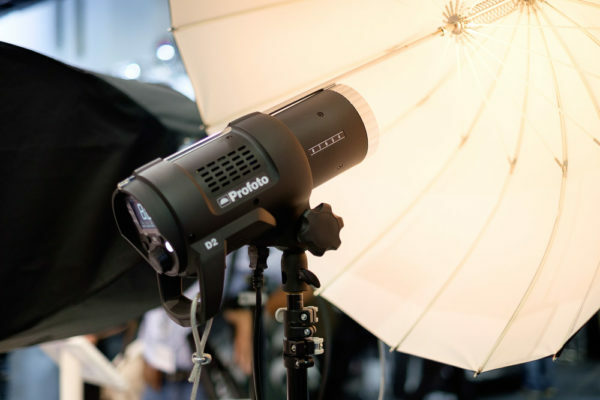 The news article of Profoto can be found here, here and here. RoundFlash showed us one new product, a collapsible striplight. Unlike many other softboxes this flash modifier doesn’t use any internal structure such as rods, but due to the weight of the speedlite the striplight takes its shape. Because of that it can be packed very small and setup is very quick and easy to do. 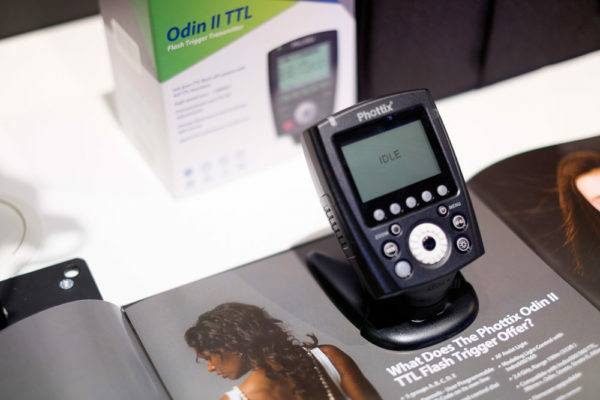 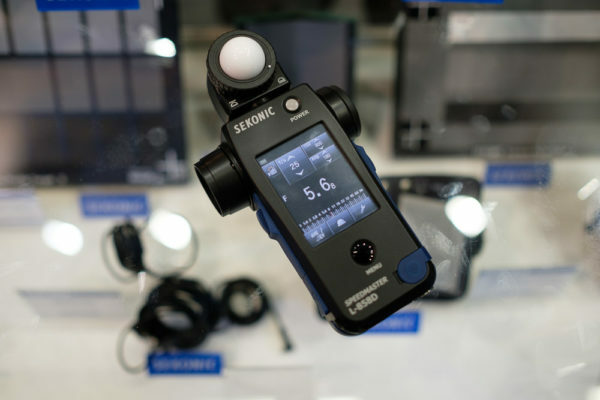 At the stand of Sekonic it was possible to see a pre-production version of the Sekonic Speedmaster L-858D light meter. 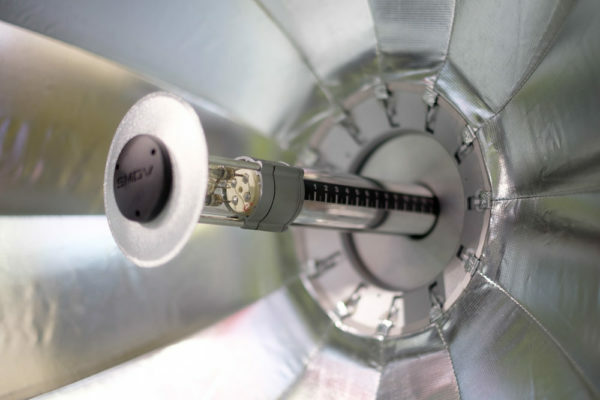 Compared to older generations of lightmeters, this new lightmeter is able to take readings of HSS flash and can give you flash duration measurements. At SMDV the new BRiHT-360 strobe was on display. 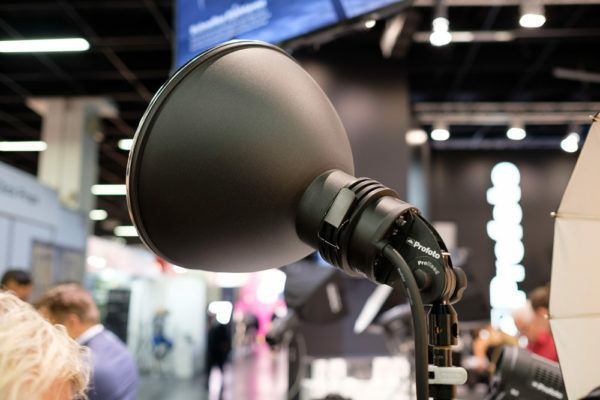 This lithium-ion powered strobe is meant to be a competitor to the AD360-II strobe from Godox, but features a integrated battery pack. 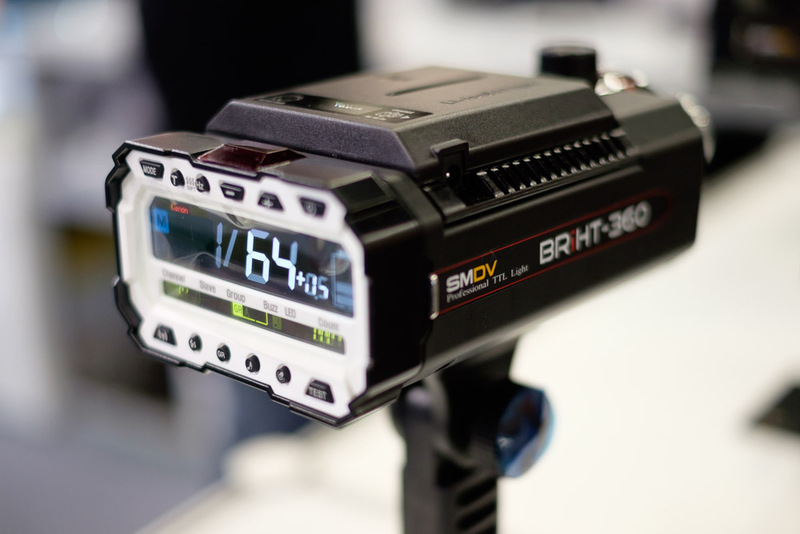 What was also interesting was a prototype SMDV showed us at their booth. 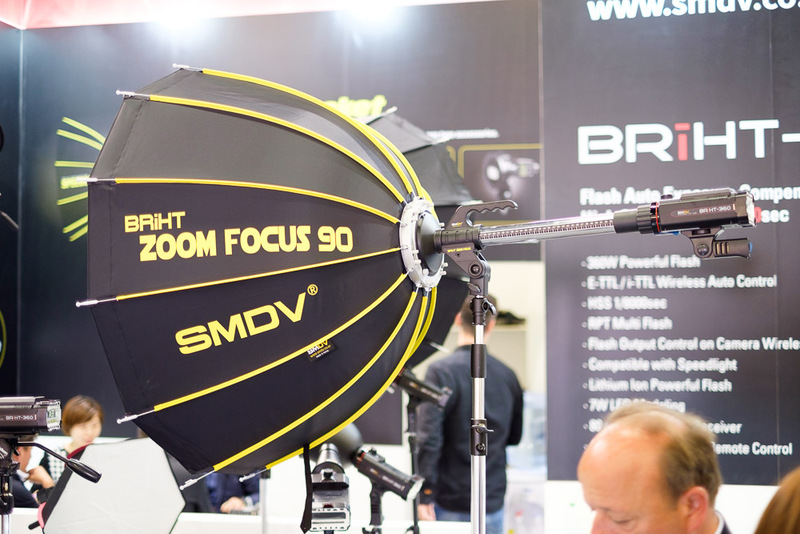 This focusable parabolic modifier is called the zoom focus and is specifically designed for the BRiHT 360 flash. At the booth of Triopo we could see the already available F3-500 TTL HSS flash, as well as a newer and smaller variant called the F1-400.